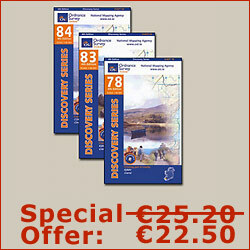 Wonderful Ireland have been organising walking holidays since 2004. The business is based in County Dublin and whilst most of the walking trails available are within the country, there are also walking options on the Mediterranean Island of Mallorca. 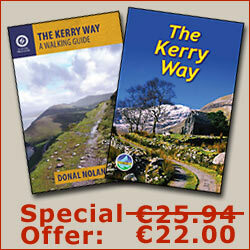 There are a total of 12 different itineraries available for the Kerry Way. The Rambler options are for shorter walks that are generally between 12-16km a day. The Mountaineer options include more strenuous sections that are usually in the region of 18-26km per day. The guest houses used by Wonderful Ireland are selected for their friendly and knowledgeable hosts, scenic locations, good food and a great night's sleep. Before, during and even after your holiday, Wonderful Ireland are there to help and answer any question you may have. They are available at all times to assist and support you and appreciate the importance of providing a well organised holiday. Ordnance Survey maps are provided and are to a scale of 1:50,000. The notes that are supplied are clear, laminated and informative and tested many times before printing them out for the season.